Aren’t you tired of waking up tired and sore? Revive your results with this dynamic duo! In the Revive Pack, IdealLean Nighttime Probiotic and BCAAs combine to maximize each stage of your daily recovery routine. 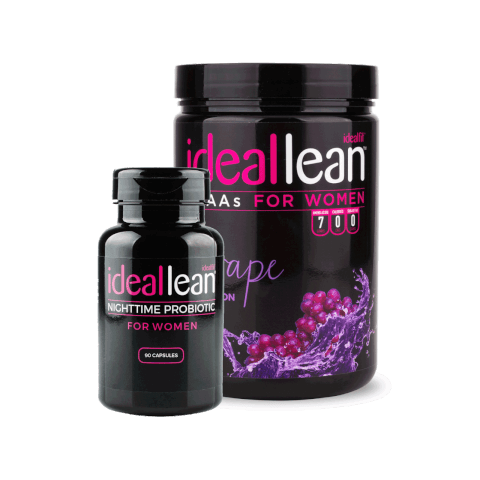 IdealLean BCAAs (branched chain amino acids) give your muscles the raw material they need to recover and rebuild fast. You’ll dramatically reduce soreness, while boosting your hydration and fat loss.